I have consolidated some of the videos on web to show the simple crochet basics stitches. They are good for beginners who wanted to learn crochet and for those who seldom crochet for a refresh course. I use this starting for all my amigurumi dolls that needs a circle start. This will ensure the starting hole is closed up nicely with a tight pull at the starting yarn end. This is one of the basic stitch used in crocheting. 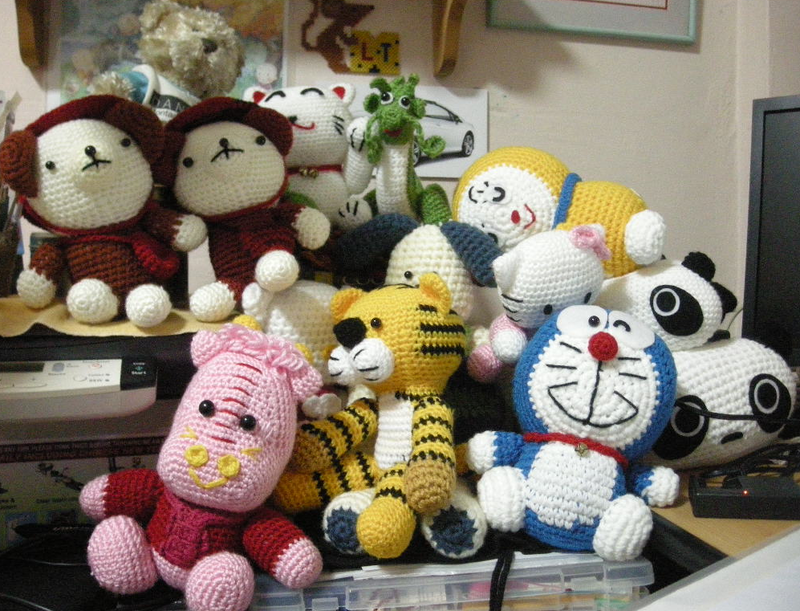 I used this for my amigurumi dolls pattern all the time. This has a longer height as compared to single crochet. This pattern has a height that is in between double crochet and single crochet. Often seen this used in stitching a flower petal along with slip stitch, single crochet, double crochet etc so as to give a gradual increase or decrease of height. The treble crochet start at the fifth chain as the first 4 chain act as the first treble crochet for the row/round. The quadruple crochet start at the sixth chain. The first 5 chains act as the first quadruple crochet in the row. This stitch is usually used for the edging of a project like pot holder, coaster, etc.